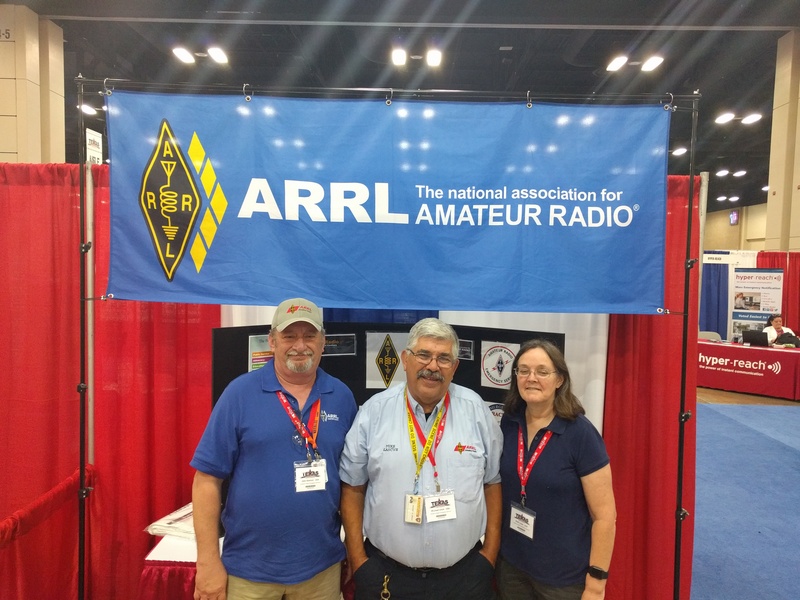 Special ARRL Field Day 2017 Issue! Letters: ARES Marketing to ESF Managers? Monthly ARES Reports can be found here. Check the report summaries to ensure that your ARRL Section activity is represented. These reports are critically important to ARRL in its efforts to defend our spectrum against other interests, among other things. We justify our access to extremely valuable frequencies by the service we return to partner agencies and ultimately the public interest. The May 2017 report summary revealed that a third of the sections in the country did not report. We can and must do better. For more on FirstNet and possible implications for the amateur service now and down the road, click here: Buildout of Nationwide First Responder Broadband Network Could Drive ARES Changes (6/1/17); see also the opinion piece below in this issue from Colorado's John Bloodgood, KD0SFY, Emergency Coordinator and Public Information Officer, Region 2 District 2, Colorado ARES (Pikes Peak ARES); and the June 2017 QST editorial by ARRL CEO Tom Gallagher, NY2RF, entitled "Fighting the Last War, or the Next?" One of the major takeaways from Field Day that directly transfers over to the interest of any ARES group is the appointment of a Safety Officer - every Field Day operation should have one, and so should every ARES organization. For Field Day, a 100-point Safety Officer bonus is available. and orderly manner to reduce hazards; stations and equipment are properly grounded; access to a means to contact police/fire/rescue if needed; the Safety Officer is designated point of contact for public safety officials; minimize risks and control hazards to ensure no injuries to public; as necessary, monitoring participants for hydration and ensures an adequate water supply is available; and whether a private residence, public park or farmer's field, when putting in ground rods (or digging/anchoring), check in advance with your local municipality (often that's by dialing 811) to confirm your intended installation is installed safely. All of these action items and many more apply to any ARES emergency, disaster response or public event deployment to the field! Every ARES group should appoint a Safety Officer. A few Field Day entry classes closely emulate ARES field operations. For example, Class A - Battery portable requires all contacts to be made using an output power of 5 Watts or less with a power source other than commercial mains or motor-driven generator. Batteries and solar cells are examples of permissible power sources. Sounds like a familiar ARES deployment scenario? Perhaps a portable station at a remote checkpoint on a mountain road rally? The Class E Home station-Emergency power participant is limited to using emergency power for transmitters and receivers. This is the class that Field Day partner Eliot Mayer, W1MJ, and I will be operating, in the woods of rural northern Florida. You can find our site on the ARRL Field Day site locator. Type in "K1CE." The Class F Emergency Operations Centers (EOC) entry is an amateur station at an established EOC activated by a club or non-club group. Stations may use equipment and antennas temporarily or permanently installed at the EOC for the event. For Field Day purposes, an EOC is defined as a facility established by: a) a Federal, State, County, City or other Civil Government, agency or administrative entity; or, b) a Chapter of a national or international served agency (such as American Red Cross or Salvation Army) with which your local group has an established operating arrangement. Operators work in conjunction and cooperation with the staff of the EOC being activated. A 100% Emergency Power bonus of 100 points is garnered when all contacts are made with only an emergency power source. All transmitting equipment at the site must operate from a power source completely independent of the commercial power mains to qualify. Originate a formal message to your Section Manager or Section Emergency Coordinator and receive 100 bonus points. You should include the number of ARES operators involved with your station. In a separate Message Handling bonus, 10 points are awarded for each formal message originated, relayed or received and delivered during the Field Day period. An Alternate Power bonus conveys 100 points for FD groups making a minimum of five QSOs without using power from commercial mains or petroleum driven generator; this means an "alternate" energy source of power, such as solar, wind, methane or water. This includes batteries charged by natural means. If you invite and can get a visit to your FD site by an elected governmental official, you can win an additional 100-point bonus. Similarly, a visit by a representative of an agency served by ARES locally is worth another 100-points. Example agencies include the American Red Cross, Salvation Army, local Emergency Management, and law enforcement. The above is merely a quick summary of classes and bonus points that translate to the interests and operations of any ARES group and members that could be deployed to a public event or disaster area, and are not the official rules. For a complete and official set of the Field Day rules, click here. Have a great, happy and safe Field Day! The Hospital Disaster Support Communication System (HDSCS), a specialized unit of well-trained operators and part of ARES in the ARRL Orange Section, California, will conduct its Field Day exercise at Huntington Beach Hospital this weekend. ARRL Orange Section District Emergency Coordinator (DEC) April Moell, WA6OPS, said "With our mission of backing up communications critical to patient care, it is only appropriate that we train at one of our supported hospitals." "We are grateful that Huntington Beach Hospital is willing, once again, to host us in this exercise, testing our ability to create antennas and stations, using existing structures and the equipment our members can bring with them," Moell said. HDSCS has supported Orange County hospitals since 1980. As a group dedicated to providing emergency communications to the medical facilities of Orange County, Field Day serves as a training exercise for operators, develops team-building, facilitates our interface with hospital staff, and helps educate the public, all for the common goal of patient care and safety. The group will be operating using the call sign W6PA. The Texas Department of Emergency Management (TDEM), a division of the Texas Department of Public Safety (DPS) each year hosts a conference on emergency management for emergency managers, law enforcement, fire suppression and emergency medical services. It is also well attended by representatives from hospitals, the military and numerous NGOs that have an interest in providing support and assistance pre- and post-disaster. Lately I have been hearing a lot about FirstNet, the First Responder Network Authority. [FirstNet and its possible implications for ARES and amateur service emergency, disaster response and public event communicators was discussed in ARRL CEO Tom Gallagher's, NY2RF, editorial Second Century on page 9 of the June 2017 issue of QST, "Fighting the Last War, or the Next?"] Some amateurs are alarmed that it will take away from the role of ARES and RACES, and even present the end of these long-serving organizations. I disagree. But first, what is FirstNet? In 2012, a law was passed to try to address some of the myriad of problems that had been identified from specific events (9/11,Hurricanes Katrina, Sandy that have plagued emergency and disaster response for decades -- interoperability, coverage, inter-connection, and leveraging modern technology. FirstNet was established as an independent authority within the NTIA (National Telecommunication and Information Administration, the regulator of frequencies for government use) under the Department of Commerce to provide emergency first responders with the first nationwide, high-speed broadband network dedicated to public safety. Since then, FirstNet has been in development. FirstNet's network is described at FirstNet.gov. Imagine a first responder being able to use a device like a smartphone to send images or real time video of an incident to include metadata like coordinates, altitude, azimuth, temps, etc., to an incident command post or EOC on their own dedicated network. Imagine all the EOCs in a state (city/municipal EOCs, county EOCs, and state EOC) being linked together over their own dedicated system for real time data sharing. Or an Incident Command being able to follow search and rescue efforts in real time or be able to place markers/objects on shared maps for the units in the field to see on a device. FirstNet could merge multiple, separate, disjointed systems into one seamless platform, suite, and system. Perhaps FirstNet can lead to widespread use of augmented reality (information overlays on smartphone cameras or even heads up displays - HUDs). The bottom line is that our first responders and emergency/disaster managers who put their lives on the line really need something better than what they have had and FirstNet is a step in the right direction. So getting upset that our police officers, firefighters, medical personnel, and so on might get some much needed tech refreshes of their communication systems is shortsighted. We should be supporting this kind of game changing technology for the benefit of all of us in this day and age of elevated natural and man-made hazards. 1) We can operate without infrastructure, away from commercial power and vulnerable fixed antennas. 2) We can communicate with areas that may be difficult for other services to cover and we can adapt to situations on the ground quickly. 3) We can act as "remote sensors" or observers, a great example being what we do with the National Weather Service and the SKYWARN program. 4) We can operate independently from everyone else, so we don't tie up their communications system resources. 5) We can disseminate critical information to our neighbors and communities,and conversely, pass back to the EOC damage reports and requests for assistance. 6) We have a long history of experience in working with incident commands, EOCs, and NGOs. 7) We can take away some of the burdens of communications tasks from officials, administrators and professional radio operators who are busy with other things. Once the FirstNet system is fully up and operational (this is going to take some time), most of what we bring to the table remains the same as above and continues to add value. Granted, FirstNet will be designed with more hardened, robust support mechanisms, but they will remain vulnerable to cyberterrorism, and other manmade and natural stressors. We will still be able to fill in the gaps when the inevitable occurs. We will still be able to act as remote sensors and observers, offering ground truth coverage unmatched by any other service, man or machine alike. Think about it -- much of our weather spotting service dates back to long before the modern, sophisticated radar and personal weather station coverage we have now, yet the need for our services has not been negated - indeed, it has been increased. And our service is not limited to weather spotting, obviously - we remain valuable as sensors/observers at public events, emergencies, and potential and actual disaster areas. We are eyes and ears for all environments - even the mundane, every day need for "see something, say something." Another largely ignored area of involvement that will remain intact after the induction of FirstNet is our ability to get information and requests to and from a critical central location (incident command, EOC, etc.) into and out of our neighborhoods, where we live. In a meeting on April 22 at the Ricardo Belaval Electronic Library in the city of Fajardo, Puerto Rico ARES was revitalized for the future. The meeting was led ARRL Puerto Rico Section Manager Oscar Resto, KP4RF, and Section Emergency Coordinator Juan Sepúlveda, KP3CR. More than 40 island section radio amateurs interested in emergency and disaster response communications attended, as did representatives from radio clubs. All regions of Puerto Rico were represented, including the island of Vieques to the east, one of the first places to be affected during a storm or hurricane. Also present were members of the military who are also radio amateurs. Officials from the Fajardo municipal Emergency Management Agency were also present. This meeting followed the signing of a Memorandum of Understanding (MoU) between the ARRL Puerto Rico Section and the American Red Cross Puerto Rico Chapter on March 3, and the first ARES meeting at the University of Puerto Rico in Rio Piedras on March 11. It also followed the participation of amateurs in the Caribe Wave Tsunami Communications Exercise on March 21 (see the April 2017 issue of the ARES E-Letter for report). The meeting commenced with a welcome by Sepúlveda, which was followed by a presentation and discussion on the ARRL Puerto Rico Section by Resto. 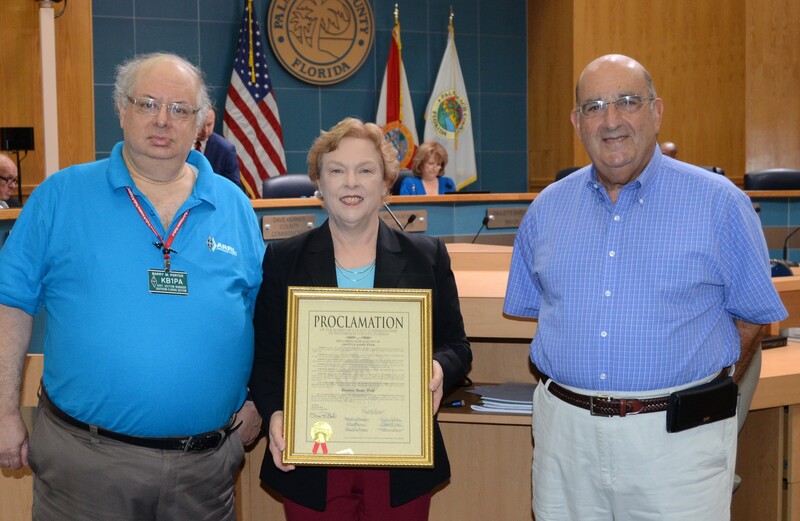 Following the SM and SEC was a presentation on the ARES program by ARRL Technical Coordinator Carlos Roig, WP4AOH: he summarized the history of ARES in Puerto Rico, when the last time it served the island (in the early 80's) and the efforts over time to bring it back. After a break, Roig discussed the National Traffic System (NTS), along with a basic tutorial on how to draft a message form, and handling them on the Patriot Amateur Emergency Radio Club Net to serve as a demonstration and practice for meeting attendees. Caribbean island nations: In the event of an incident, amateurs turn to 7188 kHz where the daily Friendly Net is run and meets, and other assigned frequencies on the 80-meter band for handling of local incident communications. Then, SEC Sepúlveda displayed a map of the island while explaining how Puerto Rico is divided and distributed by districts and the critical role that District Emergency Coordinators (DEC) and Emergency Coordinators (EC) play in these districts. Also on display at the historic meeting was a "Go Box" with six radios, power supply with distribution strip, and a small antenna to show how portable operation can be effected. The meeting was punctuated by a visit from by the Puerto Rico Emergency Management Agency's new Director of Communications, Felix J. Garcia; he was presented with a draft new Memorandum of Understanding for the ARES/EMA partnership, which could be signed soon. For his part, Garcia told the attendees that meeting rooms will be provided for ARES in facilities in the capital of San Juan. I work in a hospital as an ICU Nurse, and am sharply aware of the critical need for communications there -- between departments, the community, other healthcare facilities, and the public safety entities such as EMS/EVAC, emergency management, government, etc. Amateur Radio has traditionally had roles in providing backup communications to hospitals for drills and in disaster situations. For an example, look at the exemplary, historic work of Orange County, California's Hospital Disaster Support Communications System (HDSCS), a specialized ARES unit managed by District Emergency Coordinator April Moell, WA6OPS. See above story on their Field Day operation at Huntington Beach Hospital planned for this weekend. I recently received an e-mail and report from another healthcare system communications veteran, Duane Mariotti, WB9RER, also of California, who called attention to new rules -- from the government agency that oversees Medicare and Medicaid administration -- requiring hospitals to establish, among other things, an Emergency Communication Plan. It struck Mariotti that a significant opportunity has been presented to ARES and other amateur service groups to play an enhanced role, helping hospitals comply with the new regulations. "1. Emergency plan--Develop an emergency plan based on a risk assessment and using an "all-hazards" approach, which will provide an integrated system for emergency planning that focuses on capacities and capabilities. "2. Policies and procedures--Develop and implement policies and procedures based on the emergency plan and risk assessment that are reviewed and updated at least annually. For hospitals, Critical Access Hospitals (CAHs), and Long-Term Care (LTC) facilities, the policies and procedures must address the provision of subsistence needs, such as food, water and medical supplies, for staff and residents, whether they evacuate or shelter in place. "3. Communication plan--Develop and maintain an emergency preparedness communication plan that complies with federal, state and local laws. Patient care must be coordinated within the facility, across healthcare providers, and with state and local public health departments and emergency management systems to protect patient health and safety in the event of a disaster. "4. A training and testing program--Develop and maintain training and testing programs, including initial training in policies and procedures. Facility staff will have to demonstrate knowledge of emergency procedures and provide training at least annually. Facilities must conduct drills and exercises to test the emergency plan or participate in an actual incident that tests the plan."